I use a Canon Rebel SLR with the stock lens and a light tent for product pictures. Would a Macro lens be of any benefit for product photos? If so, any suggestions? Canon EF 100mm f/2.8L Macro IS USM Lens has my vote. I own it and use it all the time. It's particularly good if you are like me and too lazy to set up a tripod. (As it is a fast lens with an aperture of f/2.8 and it has IS too). (11-14-2013, 06:44 PM)ben74 Wrote: Canon EF 100mm f/2.8L Macro IS USM Lens has my vote. Thank you Ben. I need to do a little shopping. B&H might be a good place to look, see here. B&H is the best! I have been in the store in Manhattan. (11-14-2013, 07:14 PM)ben74 Wrote: B&H might be a good place to look, see here. Good to know. I may have to put my reward points to good use. I found that out the hard way! Wow, that is a lovely lens although a bit pricey. Boy, I had never realized how expensive taking photos can be. (11-14-2013, 09:01 PM)celestino Wrote: Wow, that is a lovely lens although a bit pricey. Selling here for only $25, 999. Uh.... is that one for taking photos of celebrities? What is the purpose of a macro lense and why would it benefit the photo? (11-15-2013, 12:31 AM)asharperrazor Wrote: Uh.... is that one for taking photos of celebrities? 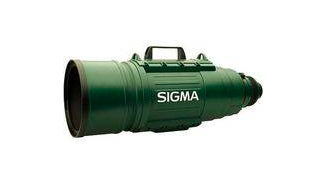 That Sigma lens allows the photographer to obtain an image without being physically close to a subject, such as a celebrity like you suggested as well as other dangerous creatures such as a tiger... It's like taking a photo with binoculars! A macro lens is specifically designed for close-up photography. They have longer barrels for closer focusing. By significantly decreasing the distance between the lens and the subject, the macro lens allows the photographer to capture a larger image of a smaller subject. A true macro lens allows for a reproduction of your subject on your sensor (or film) of 1:1 (or life-size). 1:2 and 1:4 are still considered as close-up, but not true macro. (11-14-2013, 06:34 PM)bullgoose Wrote: I use a Canon Rebel SLR with the stock lens and a light tent for product pictures. Would a Macro lens be of any benefit for product photos? If so, any suggestions? Quite honestly, I wouldn't spend the money on a macro lens for that use. What's the largest product photo you put on your site? What's the highest resolution your camera can shoot at? Take a picture at the highest zoom, at the highest resolution, as close as your lens will allow you to focus, then crop that picture to match the largest photo you would use. If that's acceptable, then you don't need to use a macro. The 100mm Canon lens referenced above is a VERY good lens, however, and if you really need macro I don't think you can do any better than that. The last lens I bought was $1500, and it was USED. I would have to ask you where you feel your current setup is lacking? The macro lens is GREAT for what it is for. If you want extreme magnification of small subjects with great clarity. How small are your subjects ? Do you have difficulty with your kit lens focusing close enough for product shots? as many product shots as you do I believe you should invest in a Quality tripod and Ballhead with quick release that is easy and quick enough to set up that you don't mind using it. I use one with a center column that tilts and is able to get into any situation quickly and easily. Coupled with a basic manual flash setup with your light tent I would say you have everything you need for Product photography. (11-15-2013, 07:02 PM)Nickadermis Wrote: I would have to ask you where you feel your current setup is lacking? I do have a tripod with a quick release but have a hard time getting it adjusted properly. I definitely could stand to have better lighting though. I had to replace my tripod late last year or early this year since my old one (1970's) was run over by my dad with a loader. And it was the most frustrating decision I've made in a long time. I looked at every brand I could find in a shop. I ended up with a Vanguard Alta Pro 263AT . Overkill But stable and quick. Speedlights with manual settings are so much easier for Product shots. Once you dial it in for your tent , It will change very little from one product to another and most of that will be moving the speedlights around. Again not very romantic but a couple of light stands are really nice to have too. Wow, such great information, here! Thanks you all for sharing! * Ben, that zoom lens is amazing, but I may have to pass! * Pat, wow, that must be a very nice lens! It cost more than my used Nikon camera and lenses, combined! Maybe, I should try one of these, some day! This is the next lens on my wish list.